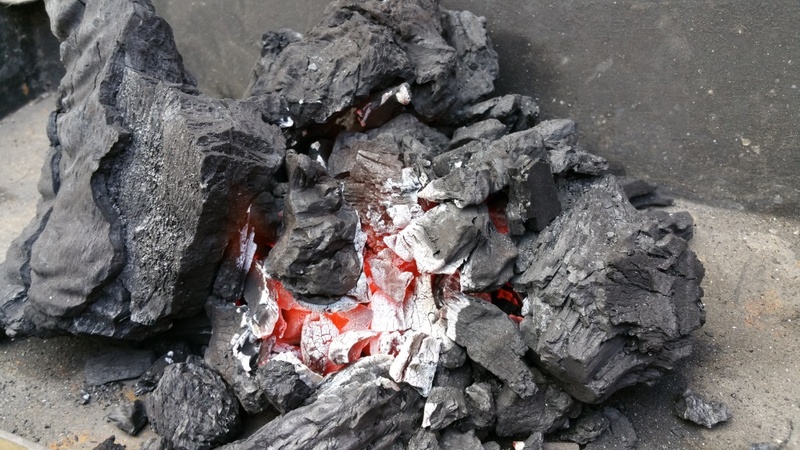 So you love the idea of cooking over charcoal to get those mouth-watering flavours, but you have no idea how to light the coals. Sound familiar?? We are committed to getting as many Auzzies as possible cooking with charcoal by eliminating all possible barriers (excuses!). We do this not only through education, but by providing equipment that makes barbecuing easy. We all know that an authentic BBQ is cooked over coals so you can get the real flavour, so how can we make it as easy and fool proof as possible? 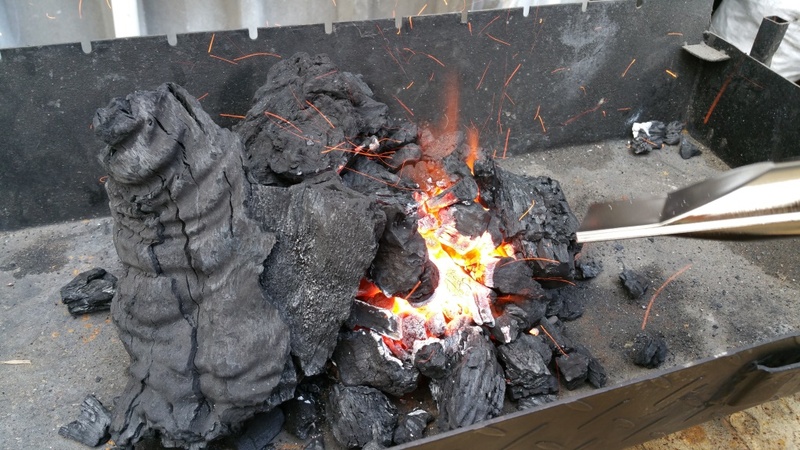 A Flaming Coals Charcoal Starter Wand is the quickest and easiest way to start your charcoal or beads. As you’ll see in the below product demonstration video we prepared, an initial spark is generated in around 6 seconds in turning on the Charcoal Starter Wand and in less than 90 seconds, you’ll have well lit coals and be ready to cook. 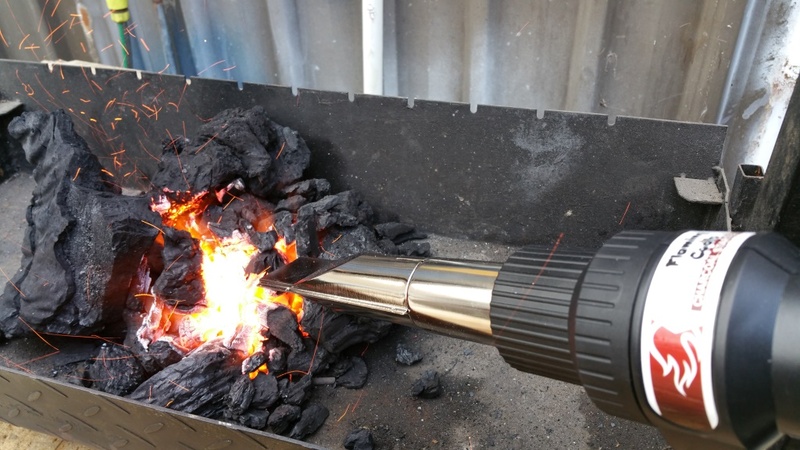 In addition to be able to have lit coals in just 90 seconds, the other advantage of the Charcoal Starter Wand is that there is no need to use any fire starters or lighter fluid to the coals, meaning you’ll only get 100% natural charcoal flavour and no toxic smells or flavours tarnishing your food. 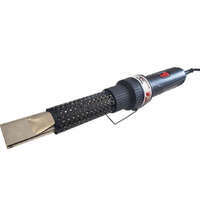 While the name suggests that it a Charcoal Starter Wand, it works equally well to start heat beads, wood kindling, wood chips or smoking pellets. It is 240v operated so you can just simply plug it into a power point and turn it on. No need to look for batteries or have your batteries die part way through the process. Bunch your charcoal/heads in a pyramid. Point the Charcoal Starter Wand directly at the charcoal, ensuring that you hold the appliance no further than 7 cms away from the coals otherwise it won’t generate the initial spark. Flick the switch to "2" and hold the Charcoal Starter Wand near the charcoal until an initial spark is visible. This should take between 5-10 seconds. Flick the switch to "1" to get the hot air blowing onto the coals. Obviously with all that hot air blowing, there are quite a few sparks flying off the charcoal, so it goes without saying to keep the kids and pets away and be careful not to wear flammable clothing. They make a great gift for the avid barbequer, or for someone who can never seem to get the BBQ started. We get quite a few customers say that they prefer cooking on a gas BBQ because it’s easier or they just can’t light the charcoal, but as the video demonstrates, the charcoal starter wand makes it simple for anyone to light coals in record time. I’d certainly recommend one to anyone who has a spit, a charcoal BBQ or a meat smoker.